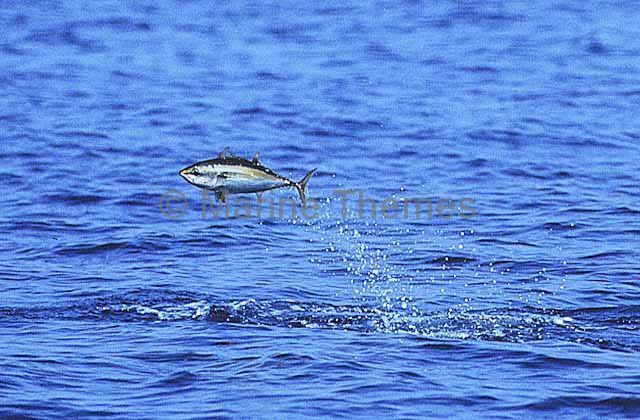 Skipjack Tuna (Katsuwonus pelamis) Jumping during feeding session. 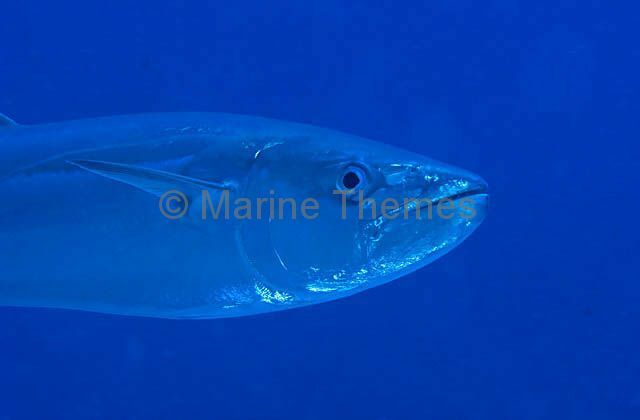 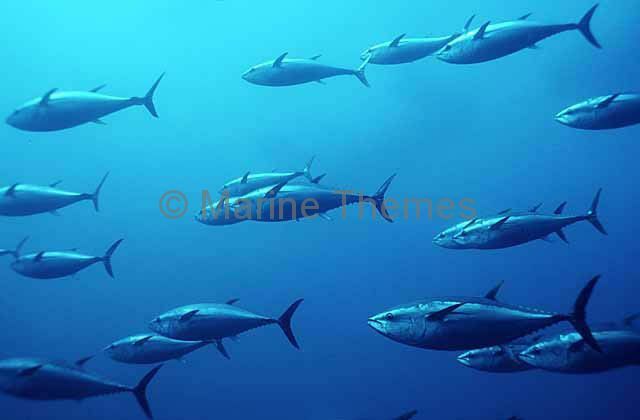 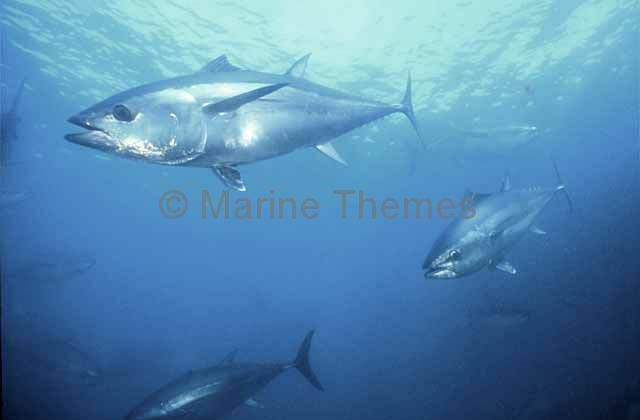 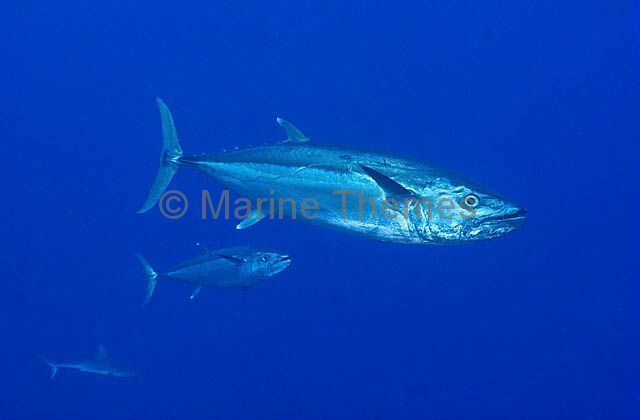 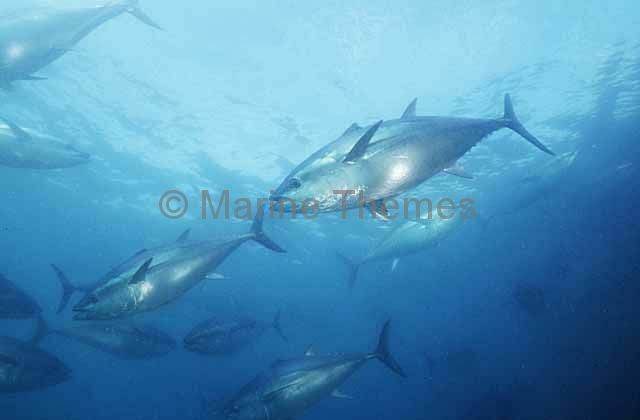 Southern Bluefin Tuna (Thunnus maccoyii) Farmed species used in mariculture and aquaculture. 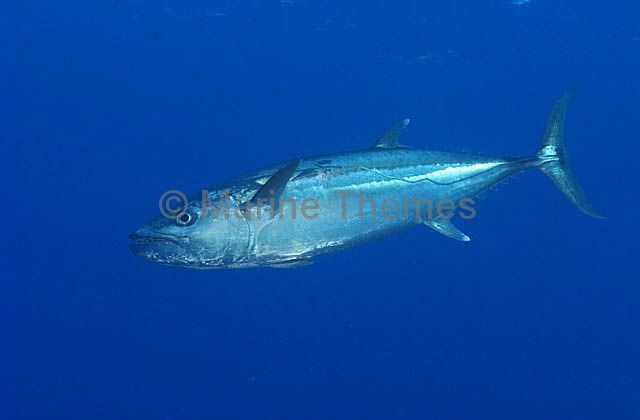 Exported to asian markets. 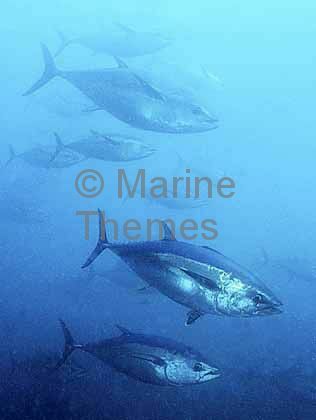 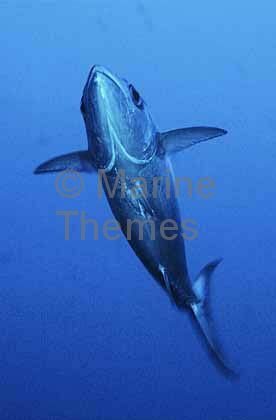 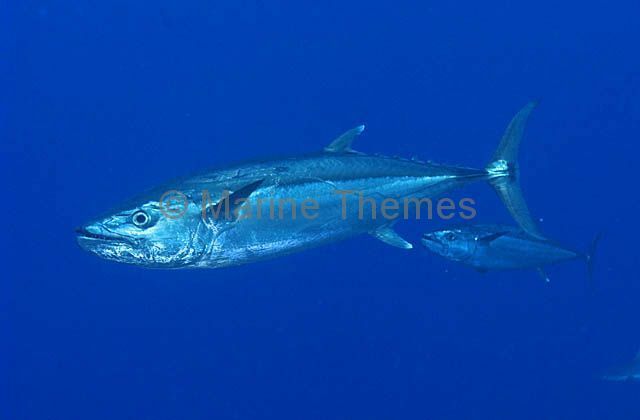 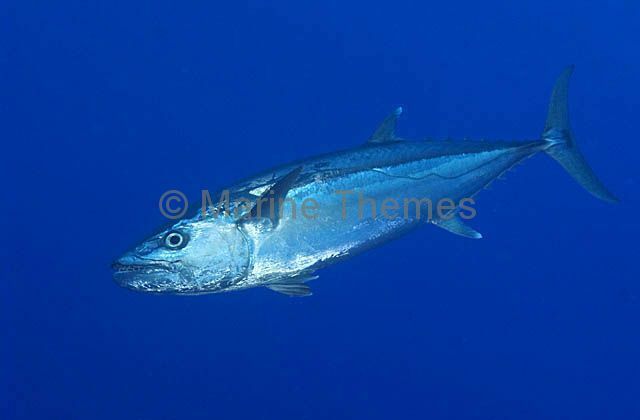 Southern Bluefin Tuna (Thunnus maccoyii) Heavily exploited commercial species. 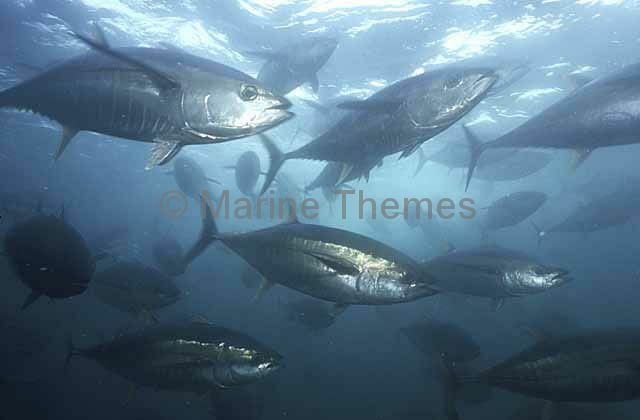 Mariculture. 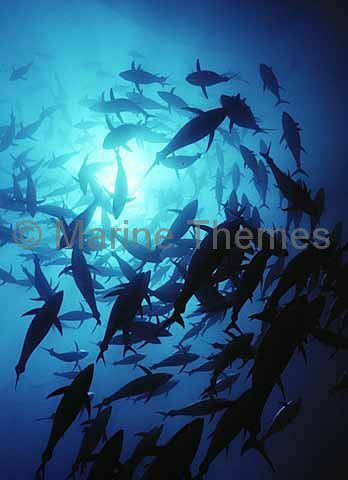 Aquaculture. 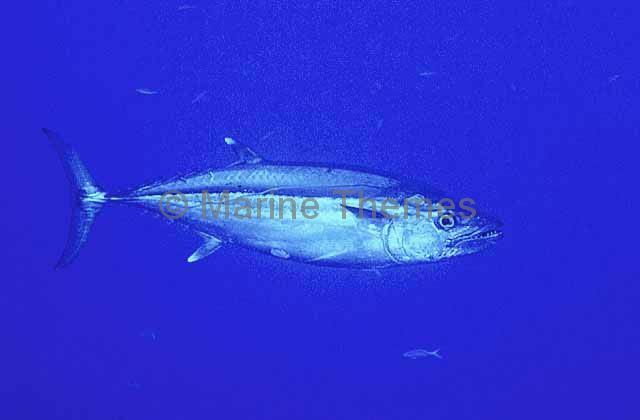 Farmed species for Asian markets. 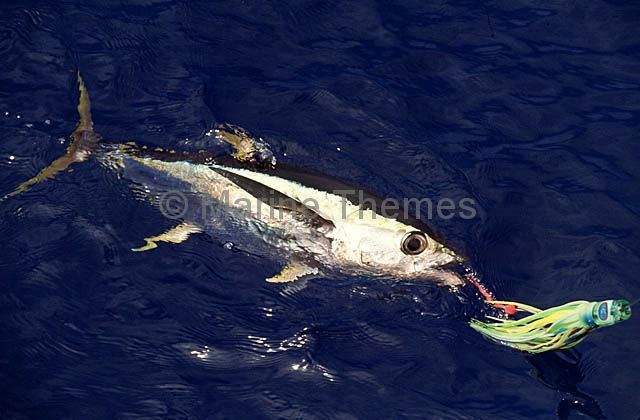 Yellowfin Tuna (Thunnus albacares) caught on fishing lure. 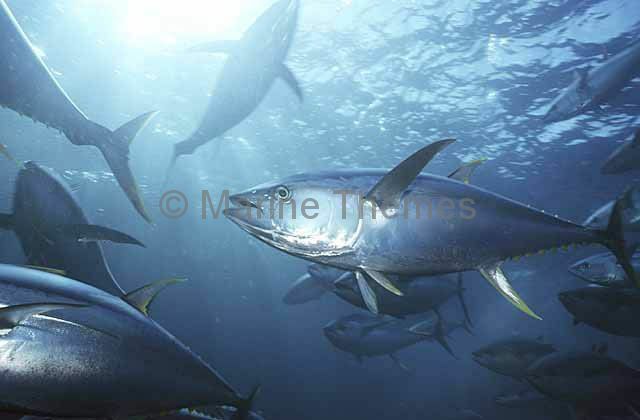 Yellowfin Tuna (Thunnus albacares) in seine net 60 km offshore. 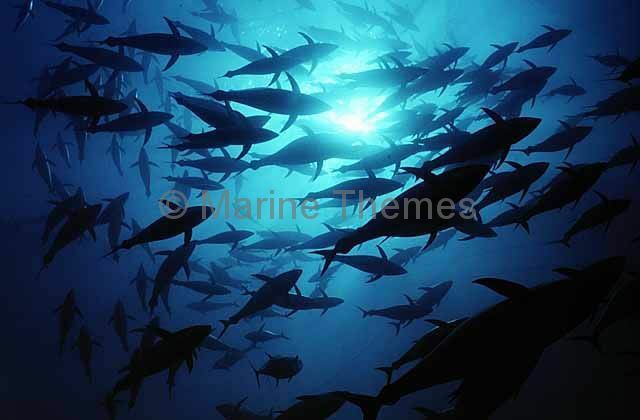 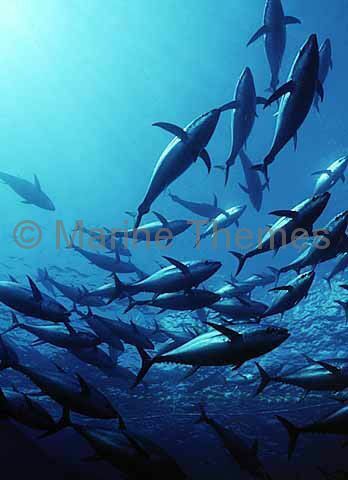 Yellowfin Tuna (Thunnus albacares) schooling. 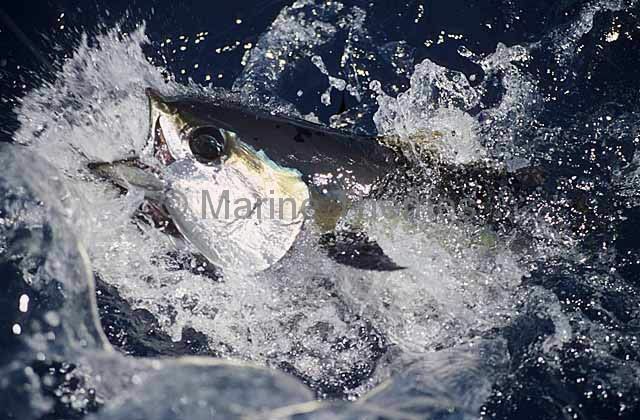 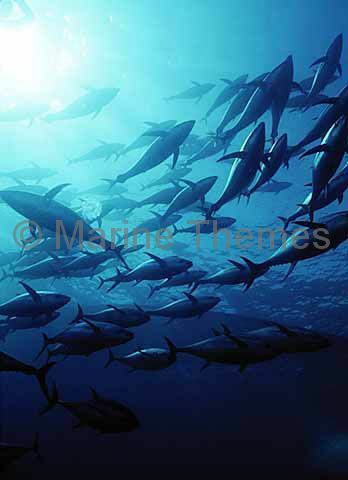 Yellowfin Tuna (Thunnus albacares) feeding at surface.